Sephardic food is heavy on seasonal vegetables. I have a ton of recipes from my grandmother that were thought of as poor person foods. Largely it was because they couldn’t afford much meat or poultry, and the recipes were inexpensive and simple to prepare. Yet they depended on seasonal produce, which was plentiful in the Middle East where they hailed from. Today’s blog is devoted to Produce Pete. 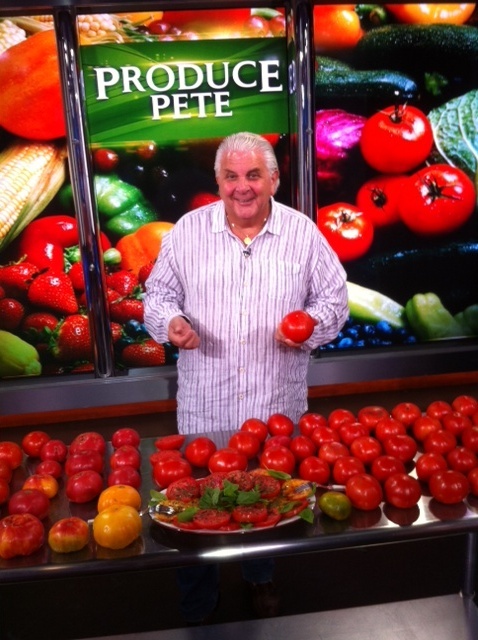 For 20 years the son of a peddler has been teaching America about how to pick fruits and vegetables on the Today Show. Pete Napolitano’s family has been in the produce business since 1953. He has become the face of fresh produce and each week he gives his tips on how to pick and select produce from your market, what’s in season and always has a recipe to share using the fruit or vegetable of the week. Produce Pete has been so popular that he was the subject of Jeopardy questions and roasts from late night television, all of which keep a smile on his face. His happy smiling face and excellent tips have served me well over the years, often adding to the wealth of knowledge I learned from my mother and grandmother. 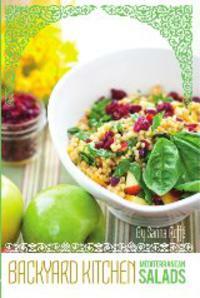 I think anyone who can teach others about the wealth of nutrients and vitamins in fresh foods is to be acclaimed. The USDA Food Guide Pyramid recommends 2-4 servings of fruit and 3-5 servings of vegetables daily. Promoting consumption of fruits and vegetables is so important, that many cities are finding ways to increase produce consumption in some neighborhoods where surveys show that a percentage of people did not eat a fruit or vegetable the day before. Wow! Was I surprised! Then I remembered my friend Carol who was amazed at delicious and plentiful the fresh produce was in my home. She claimed I had an expensive habit. Really? Fresh produce is expensive? I think healthy eating keeps the doctor away, and helps us fight off over eating. Still she vowed to shop more frequently for fresh veggies and keep her frig better stocked. To promote a healthier lifestyle, NYC began a Green Cart program, whereby you can get a permit to sell fresh produce on street corners in designated areas where the survey showed poor produce consumption. Some of these neighborhoods have only one supermarket for 60,000 residents, and no produce stands. So how are people to obtain food if they don’t have places to shop for it? These Green Carts are an easy, fast and viable way to get produce to the people. I see these carts selling produce near many subway stops or offices. The Green Carts put fruit and vegetable carts on the streets in low-income areas with high rates of obesity and diet-related diseases. The strategy is working as the percentage of adults who said they ate no fruits or vegetables during the previous day is slowly dropping. And the program is spreading. Philadelphia, Chicago, Los Angeles, and Madison, WI have all launched similar Green Cart programs. Produce Pete’s father was a peddler selling produce from a cart, as did generations of immigrants who got their start selling on the street. He learned from the best and carries on a strong family tradition that helps Americans stay healthy!